The Profit Maximizer app and trading robot by James Forley is a SCAM and we Blacklisted it in our fair and honest review and investigation. It’s true that this is an old scam, but for some reason it keeps resurfacing in a way very similar to the Millionaire Blueprint (AKA Free Money System) by Walter Green. Why does this keep happening? A number of reasons apply, the first has to do with the fact that it is designed to support multiple languages. This means it is more accessible to non-English speaking people around the world so it gets a lot of exposure. Secondly, it got picked up and copied by various affiliate marketers looking to cash in on this sleazy offer since they believe (with good reason) that it is effective and baiting and convincing opportunity seekers to register and fund offshore trading accounts with unlicensed brokers. There’s nothing special or unusual about the Profit Maximizer app, but sometimes it’s the simple narratives that are most effective. Of course it is neither a legit nor genuine app, it does however appeal to a broad range of people because the message is easy to grasp and very repetitive. The lure of easy money at your fingertips has a lot of people taking unnecessary risks only to end up losing their original investment and in many cases much more. We know who the scumbags behind this offer are, and eventually we will expose their identity in the most transparent and factual manner. But until then, we will just go after Profit Maximizer and their business to make sure the message gets out. Keep reading to see how we exposed these crooks and why this system is a confirmed financial scam. Update: The Profit Maximizer SCAM is currently being relaunched so there are certain edits and variations so please be careful and don’t join! Below is the main registration area where “James” is welcoming you to the Profit Maximizer and letting you know that “you are one step closer to earning $1,671.32 Dollars per day”. And here’s a screenshot taken directly from the Profit Maximizer App sales video. Inside you will see a testimonial provided by one of the “successful traders” who boldly claims it is “unbelievable” and how “fast and easy it was” to make money. Next to it you will see an image of the same actor on Fiverr.com where he flaunts his abilities to create a “believable” video testimonial. Moving along, here’s “Joanna G”, the happy trader who claims she made $1,022.13 in one day. And right next to it you will see the same image bank actresses’s face pasted on the Leedy Dental website (she does have a nice smile you must admit). James Forley is offering you a “guaranteed” way to make more money this year then you have made during the past 5 years of your life. He’s about to show you how he made 2.1 Million Dollars last year (that is when the inflated bank accounts start popping up). Like it or not, today you are going to learn how to make more money than you know what to do with. So get ready for “boatloads of cash” straight into your bank account, and all you have to do is signup today! The video continues with the usual rags to riches story about how he had no money but was able to put up $250 and since then his life has changed and now he is a millionaire living a stress-free life with no financial concerns or worries. The image bellow illustrates how these crooks attract new victims. The ad literally says “Unlimited Earnings” and “Multiply Profits”. Don’t take the bait and don’t say we didn’t warn you because these guys are professional con artists and since they invest heavily in advertising on Google you can be sure they will squeeze the money out of you in order to cover their investment and make profits for themselves. No, it is not! They even say that he funded his trading account with $250, and that is the minimum amount of money which you will need to risk in order to get started with this crappy app. This money will be charged to your credit card by filthy offshore and unregulated brokers who care nothing about your financial welfare and will bleed you dry in a New York minute without a trace of guilt or remorse. We have not seen many of those. It seems the whole trading community is in agreement about the criminal and vile nature of this cheating software. If you are having a hard time deciding which is system is right for you then it’s perfectly normal. Our staff has done all the research for you, and our short yet reputable list of consistent money-making apps represent the creme of the crop in options and Forex trading systems. The Profit Maximizer app by James Forley is a bona fide scam and we blacklisted it in our detailed review with good reason. This fake, thieving app has been around for the longest time and we should have reviewed this software a long time ago and warned our members, so we apologize for that. 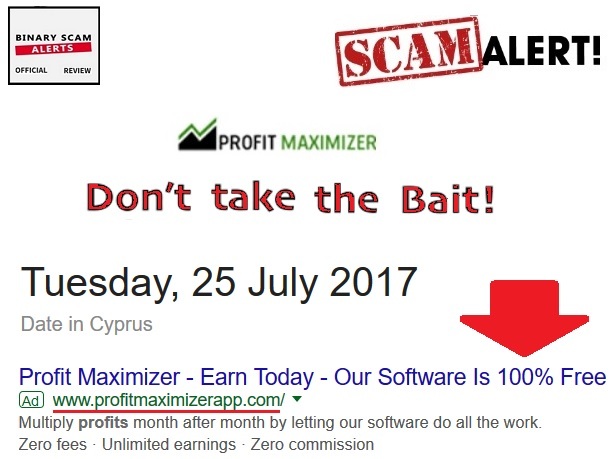 If you have been illegally solicited, approached, spammed, or tricked into buying into the Profit Maximizer app then you already understand how dirty and vile this scheme really is. We have received multiple complaints about rude “account executives” calling up during the strange hours of the night and acting in a very aggressive and pushy way. Needless to say we advised our subscribers and viewers to just say they are penniless and move on because today we know there’s nothing genuine or legit about this cheating software. In light of the overwhelming amount of evidence and proof our staff has produced, we are left with no choice but to blacklist the Profit Maximizer and advise our readers to take advantage of other more credible trading solutions. 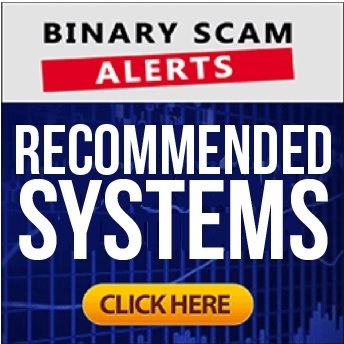 Join our Facebook Page and YouTube Channel to get updates and scam alerts.